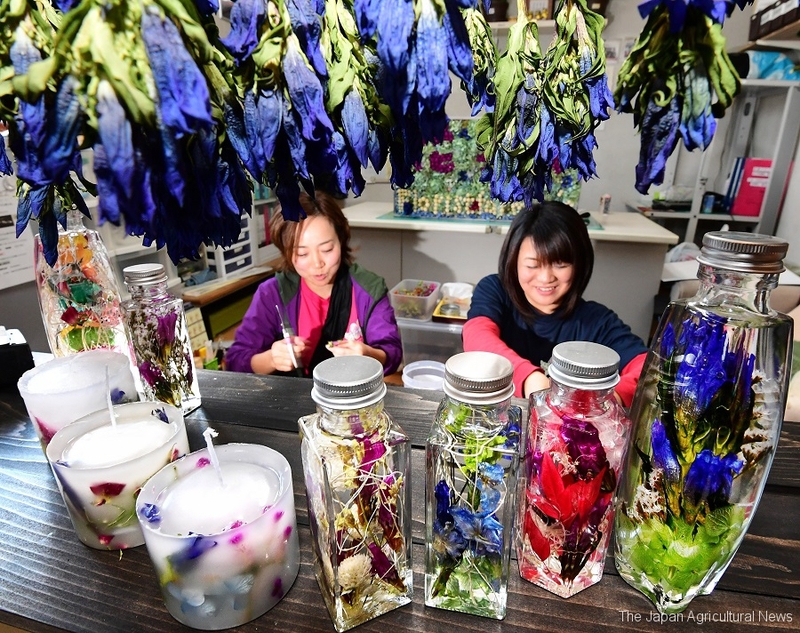 Ayumi Miyano uses her dried gentian flowers to create herbarium and candles. HACHIMANTAI, Jan. 10 ― Gentian, a brilliant blue flower, grows best in sunny conditions. But Ayumi Miyano, a 36-year-old gentian grower, has tried her luck and experimented with the herb, finding a way to keep her business going even in the freezing temperature in winter. Miyano and her 10 part-time female workers make products, such as candle and herbarium, out of the herb in Hachimantai, Iwate prefecture, known for its gentian-growing region in Japan. They cut the plant when the flowers are just beginning to open and then hang them up for some time. “I’m hoping this can be a place for us to survive in winter,” Miyano smiles.